Treatment options for non-genital warts include freezing, topicals & surgery. Why might want your warts treated at a clinic? They have been present a long time. They have resisted home treatment. You just don’t like them! Cantharadin is probably the most effective treatment other than surgery. Simple Warts most often occur on the hands and feet but may also occur on other parts of the body. Warts on the soles of the feet and also known as Verrucae. Warts are caused by the ‘human papilloma virus’ (HPV). HPV is better known for types 16 & 18 that may cause cervical cancer. Types 4 & 11 may cause genital warts. HPV vaccine given to Queensland kids at school in year 8 covers these HPV types – and more. Simple warts usually caused by HPV types 1,2,4, 60 & 63. These are not included in HPV vaccinations. The virus enters the skin through tiny breaks in the skin surface. Moisture and maceration of the skin on the feet encourage infection with the wart virus. Warts are ‘caught’ by direct or indirect contact with HPV-infected skin scales that are found on surfaces such as the tiles around a swimming pool or changing rooms. It is not clear why some people get infected and others do not. The time between exposure to the virus and a wart developing (the incubation period) is thought to be 1-6 months. The bottom line is that you can’t do much prevent yourself getting simple warts. Most warts eventually disappear on their own. A study in kids showed that two thirds went within two years without treatment. Soak the wart in warm water for at least 5 minutes. This will soften the wart and help the salicylic acid to penetrate the skin. A thick and scaly wart should be pared down or filed with sandpaper or an emery board. Mask the area around the wart with Nail Varnish or vaseline. Use the applicator to apply a very small amount of Wart-Off on the top of the wart only. Avoid contact with surrounding skin. Allow the Wart-Off paint to dry, and cover the wart with occlusive material. You can use a waterproof bandaid or cut off a piece of micropore® tape. Wash your hands thoroughly after applying the Wart-Off. Remove the bandaid or tape the following morning. Repeat once daily for 12 weeks, or until the wart has completely cleared. Remember that the point of the exercise is to get rid of the wart without causing you or your child any pain. Some warts are already tender, in which case you won’t be able to file down the wart at all. Kids are unlikely to put up with much of this treatment, and your child may only tolerate application of the product every couple of days. The treatment may make the wart sore, in which case it’s best to just leave it a few days. Mosaic warts may respond to a gel containing formaldehyde. Verrucae that have clustered together are particularly hard to treat. Try soaking the whole area for 10 minutes daily in a diluted formaldehyde solution. How can I help stop the a verruca from spreading? Wear comfortable shoes. Special pads to relieve pressure on plantar warts can be bought at a chemist. Keep your feet clean and dry, and obviously change your socks daily. Do not go barefoot in public places. Plantar warts should be covered with waterproof plasters or a rubber ‘verruca sock’ if you go swimming. Do not pick at your plantar warts. When paring or filing down warts, take care not to damage the surrounding skin, as doing so might result in the warts spreading. Dispose of the dead skin carefully. Remember that the sand paper or emery board will probably be contaminated with The HPV virus. Check your children’s feet periodically for warts. Cryotherapy is the most common clinic treatment. Methods available through The Wart Clinic also include Medical-Grade topical treatment, Electrocautery, and Surgery. Freezing warts at home may be attempted at home using over the counter products but they are nowhere near as effective as Freezing using liquid nitrogen in a GP clinic¹. Freezing using over the counter products will freeze at temperatures of up to -70°C whereas liquid nitrogen freezes at -176°C. Cryotherapy involves freezing the wart with a 2mm margin of normal skin included in the treated area so as to kill the virus in and around the wart. A thick wart may be pared down before freezing. Cryotherapy is reasonably effective. However, more than one session is usually required to clear the wart. Treatment is performed at 2 to 3 week intervals. The greater the freeze time, the more effective the treatment but with a greater risk of pain and blistering. Side effects can include lightening or darkening of the skin in the treated area which may persist. How about kids? Children will definitely not appreciate a deep freeze and may hate doctors for years to come! A light freeze may be performed but is probably not going to be effective. Whether you want the wart treated or not depends on the age of your child, their tolerance to potential pain and their attitude to the wart. What specific treatments are available at The Clinic? Treating warts is challenging and recurrence rates may be high despite the best of endeavours. Cantharadin plus is offered by a limited number of dermatologists. This requires a referral. The mixture also contains other substances such as podophyillin that help to destroy the wart. The liquid is applied to the wart by the doctor. The liquid then dries and is covered a plastic adhesive tape. You then leave the clinic. After 4 hours – or time otherwise agreed – you remove the tape and wash the wart with soap and water . 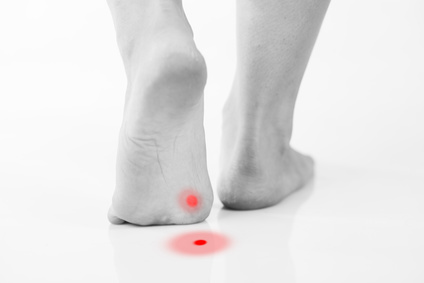 A blister forms within 24 hours and this is likely to be uncomfortable for a day or two. The local reaction can sometimes be more severe. The treatment may need to be repeated. A particularly large wart may be treated with a combination of Cantharadin plus followed by surgical scraping (curettage) under local anaesthetic the following day. Cantharadin may on occasion be useful in the treatment of molluscum contagiosum. 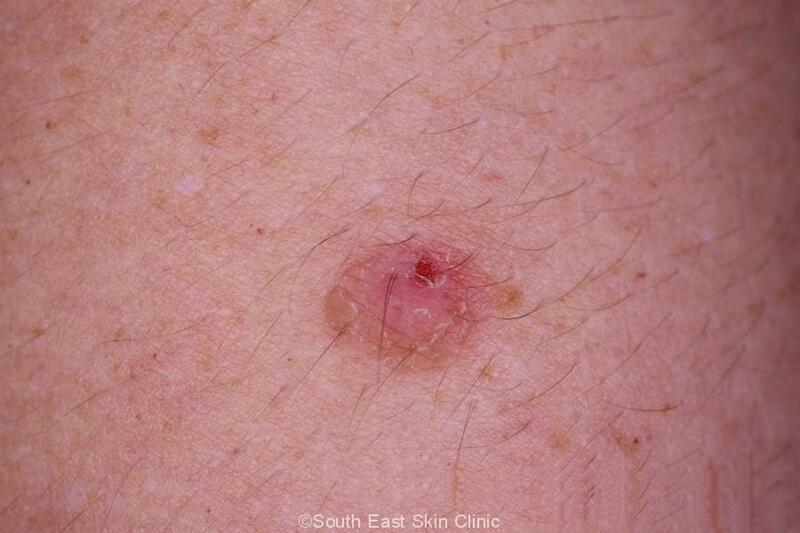 1: Management of Cutaneous Warts, BMJ, M.Lynch et al, 2014. 2: Topical treatments for skin warts, cochrane, 2012.